One of the big questions about our future lives as creative practitioners is what will happen to cultural mobility in a world of uncertain energy and public support infrastructure. The Resilients project includes several case studies devoted to this question, experimenting with travel and cultural exchange via unusual modes of transport, including the design of alternative vehicles as a creative challenge. In June we hosted our friends Tim and Pippa from Time’s Up during their journey on ‘Subak,’ a boat they constructed from recycled and reused materials. In July, Theun joins nadine and Performing Pictures on an epic European bicycle ‘pilgrimage’ in a straight line - tracing an accidental fold in a map running from Koszalin in Poland to Rab in Croatia. In August, Shelbatra and Nik will join a trek through the wilderness of the Gora Plateau, mapping the area using an unmanned aerial vehicle and SINUNI, a sensing and recording system developed by Projekt Atol. 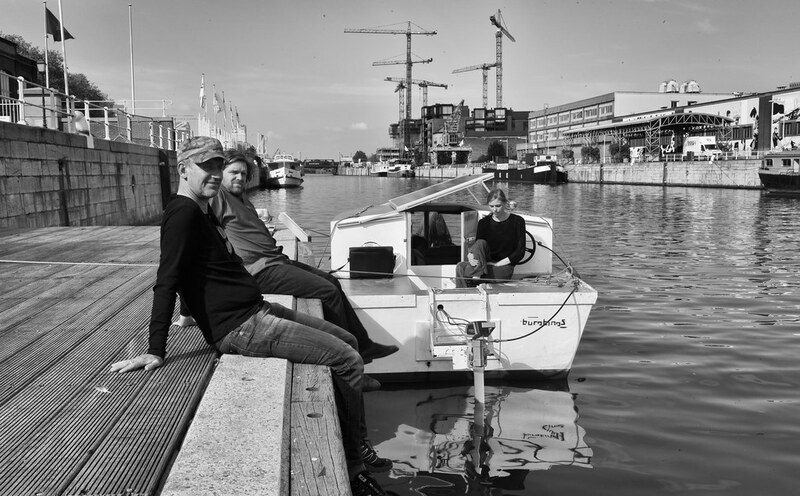 We’ll end the summer back in Brussels during Festival Kanal, where we’re planning to unleash experimental rocket boats and launch the ‘Buratinas’ a solar-powered water taxi, in the muddy waters of the canal in Brussels.